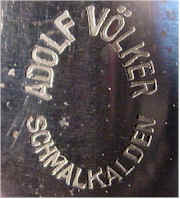 Adolf Volker - Can be found with a plain center or with a train in the center of the circle (the rarer version). 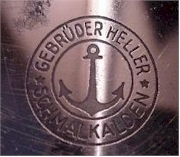 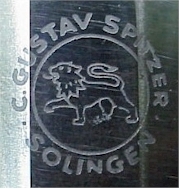 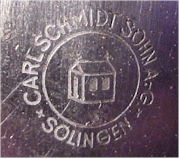 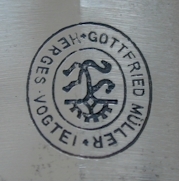 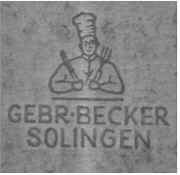 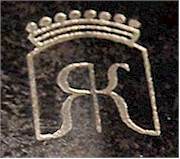 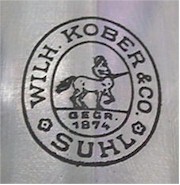 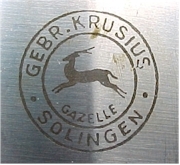 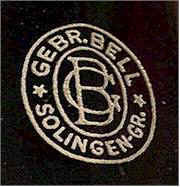 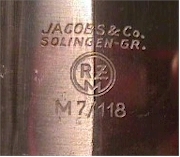 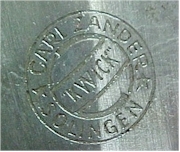 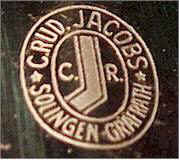 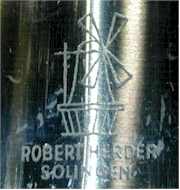 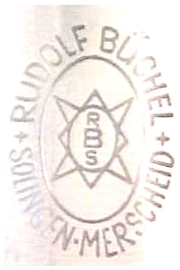 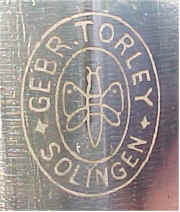 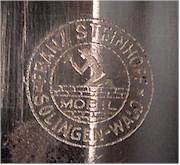 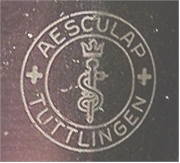 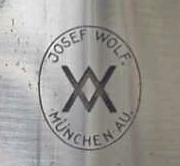 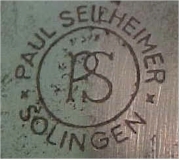 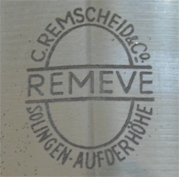 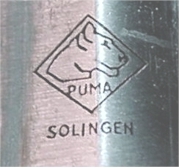 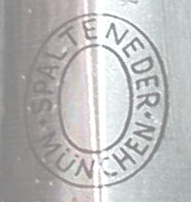 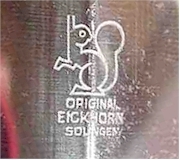 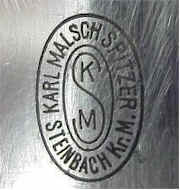 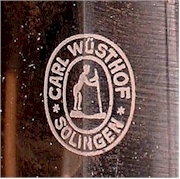 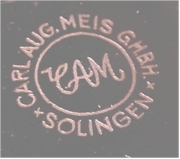 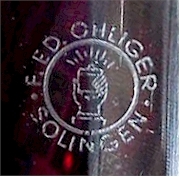 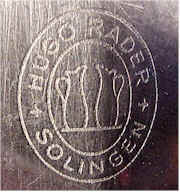 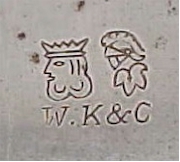 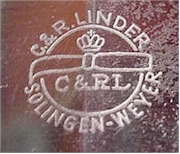 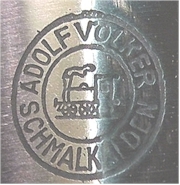 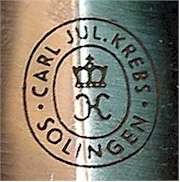 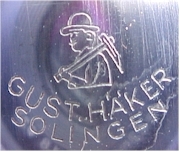 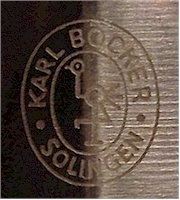 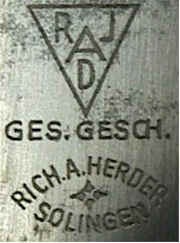 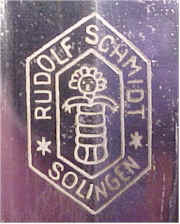 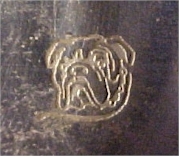 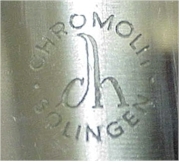 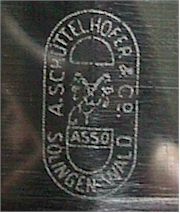 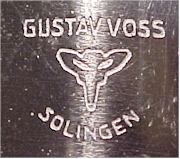 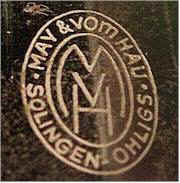 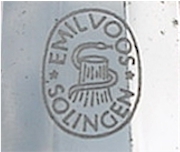 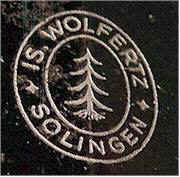 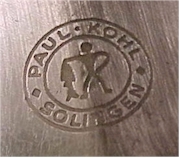 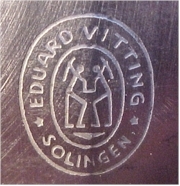 Adolf Volker - This is the rarer version maker mark found on products of this firm. 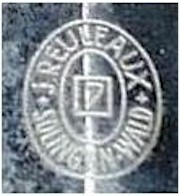 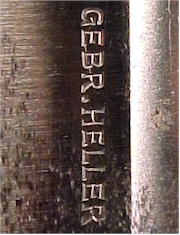 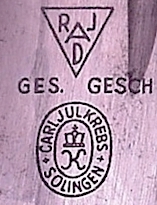 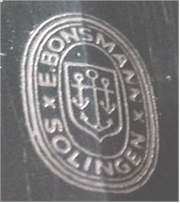 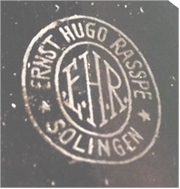 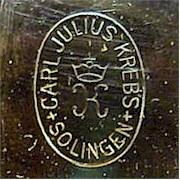 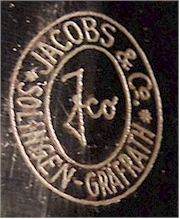 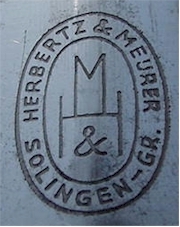 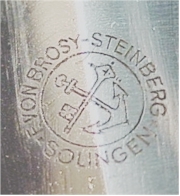 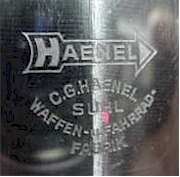 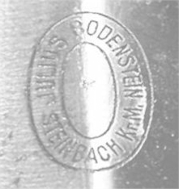 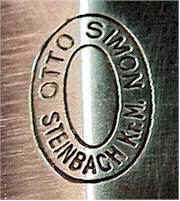 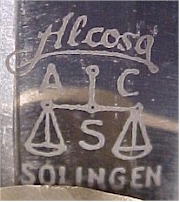 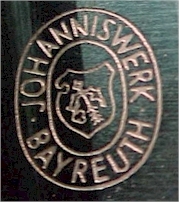 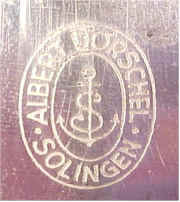 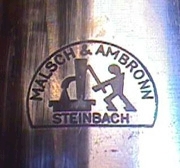 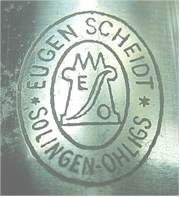 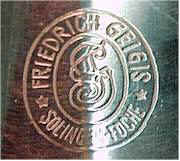 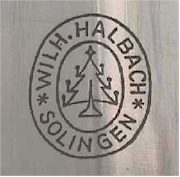 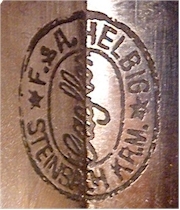 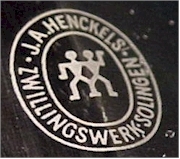 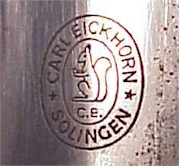 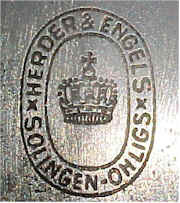 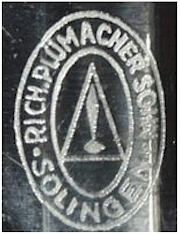 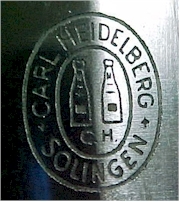 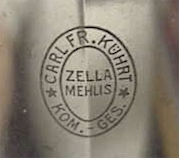 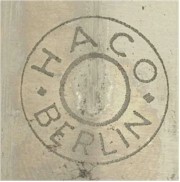 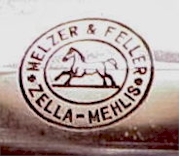 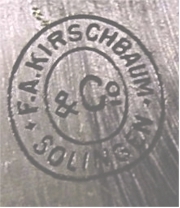 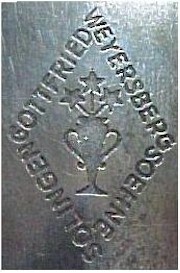 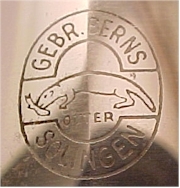 F. A. Kirschbaum & Co.
F. A. Helbig, F&A, Steinbach (SA, DLV) This maker mark is characteristically found to be lightly applied and often lacks detail to the etching. 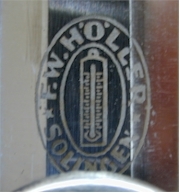 F. W. Holler (ARMY, Luftwaffe) This maker is often reproduced. 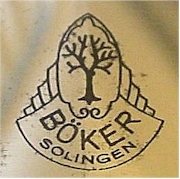 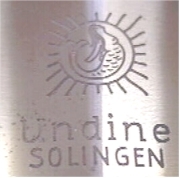 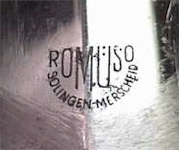 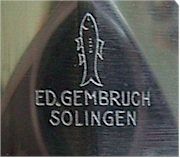 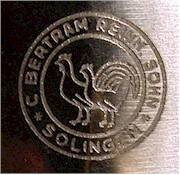 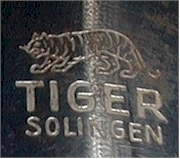 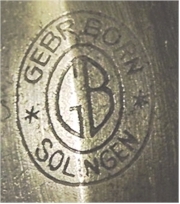 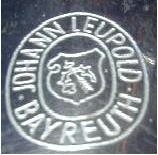 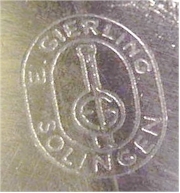 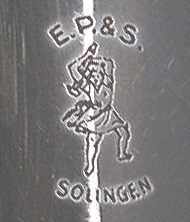 Later examples are marked "Berlin" instead of "Solingen." 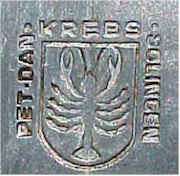 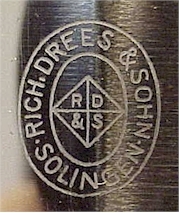 Peter Dan Krebs This maker mark is most often encountered in a stamped version. 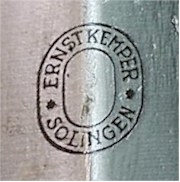 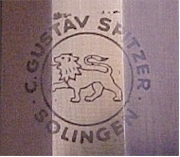 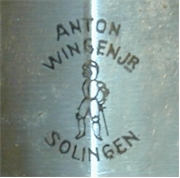 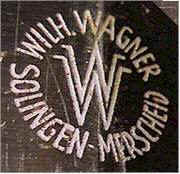 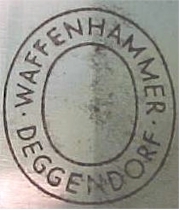 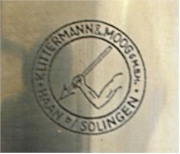 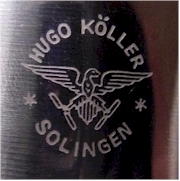 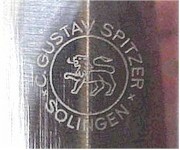 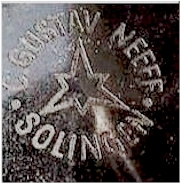 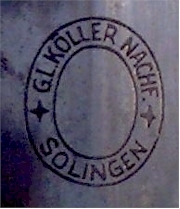 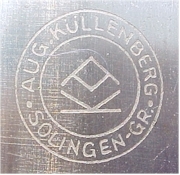 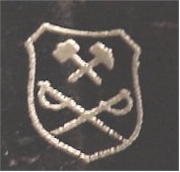 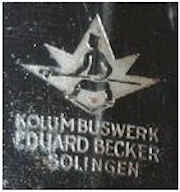 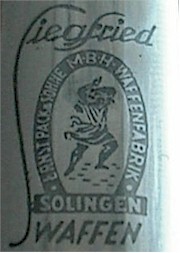 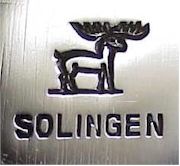 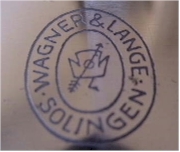 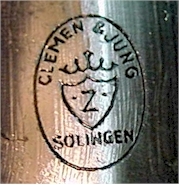 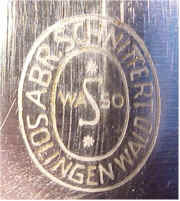 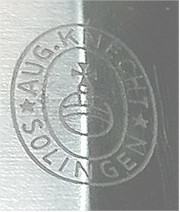 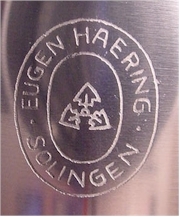 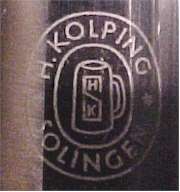 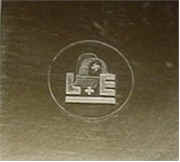 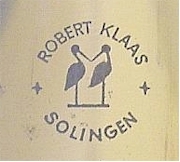 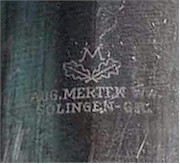 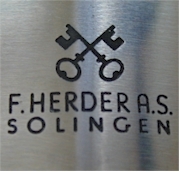 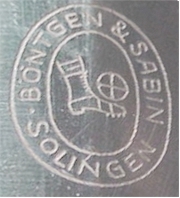 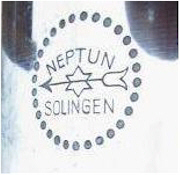 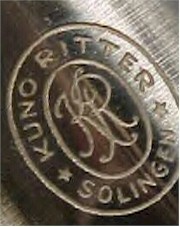 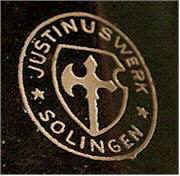 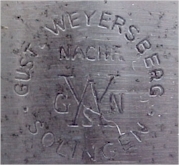 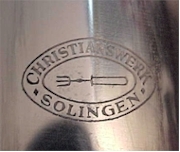 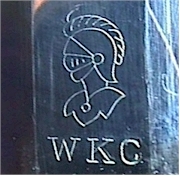 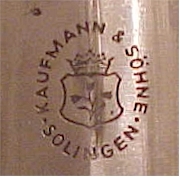 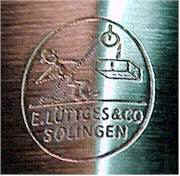 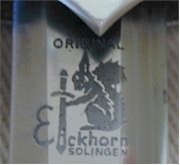 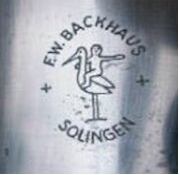 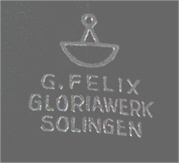 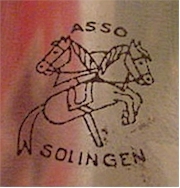 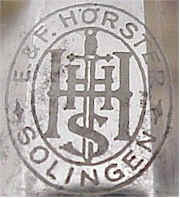 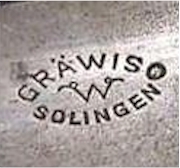 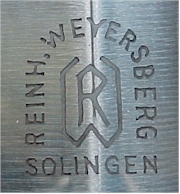 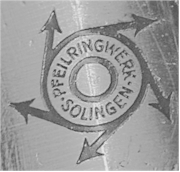 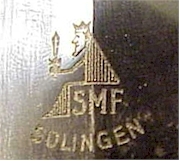 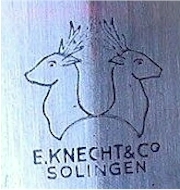 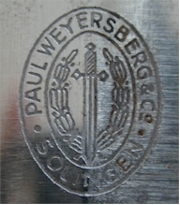 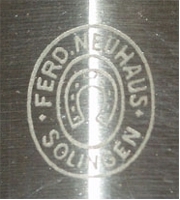 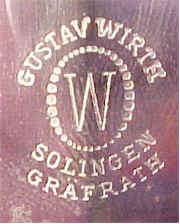 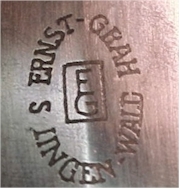 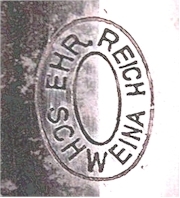 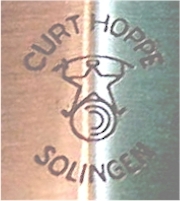 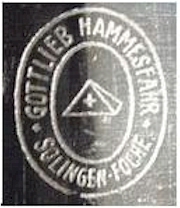 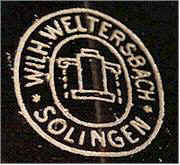 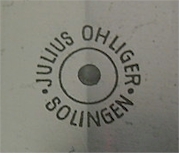 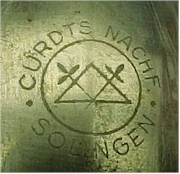 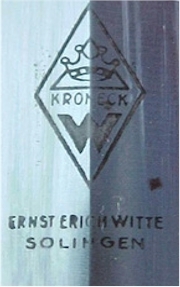 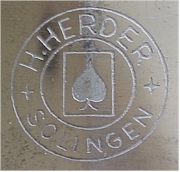 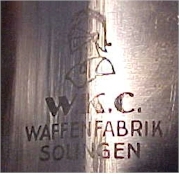 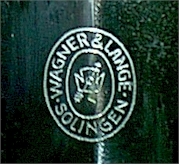 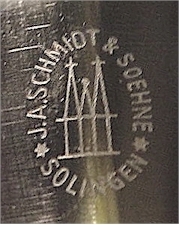 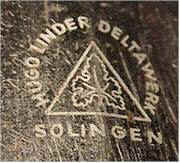 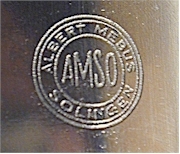 Solinger Metallwarenfabr (SMF) (DLV, NSFK, 2nd Luft) On Luftwaffe pieces, a Waffen Ampt symbol appears either above or below the maker mark. 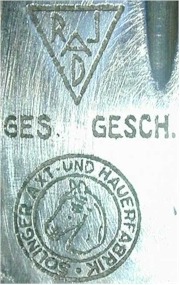 Tiger (1st & 2nd Luftwaffe) Produced maker marked damascus blades.